The national headquarters of the WI are located in London. There is also have an office in Cardiff for NFWI-Wales, and an adult educational residential college, Denman, in Marcham Oxfordshire. The National Federation of Women’s Institutes (NFWI) employs around 70 staff, headed by a General Secretary. WI Enterprises is the trading arm of the organisation, which exists to raise funds and provide benefits for members. 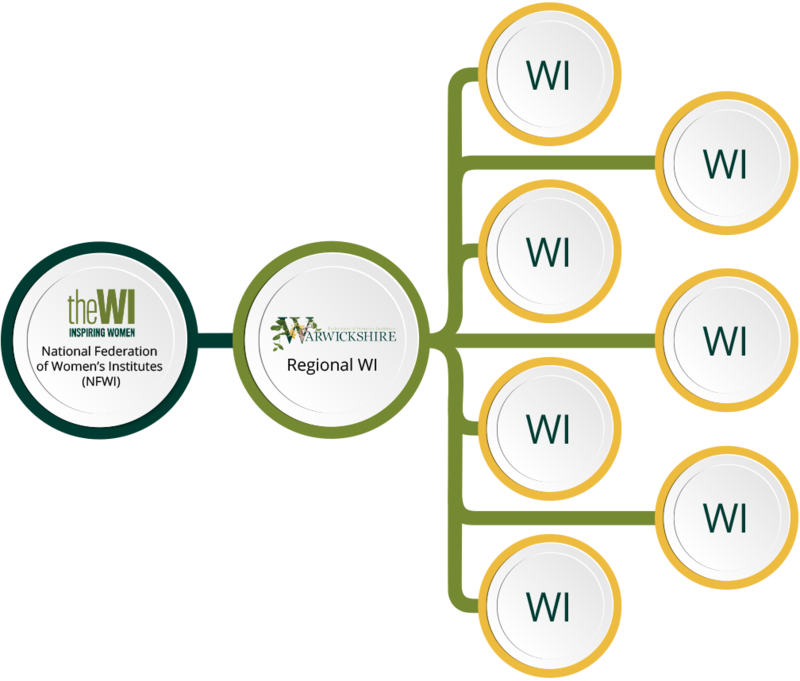 Each WI is self-governing within the framework of the WI constitution and rules, and belongs to one of 69 regional federations – each with a regional office. The 6,300 WIs and 69 federations make up the National Federation. Each level of the organisation is run by a committee of elected members. The Warwickshire Board of Trustees is democratically elected every two years by WI members in this area. Interested in forming your own WI? The individual WIs are organised into groups for larger events and information sharing.